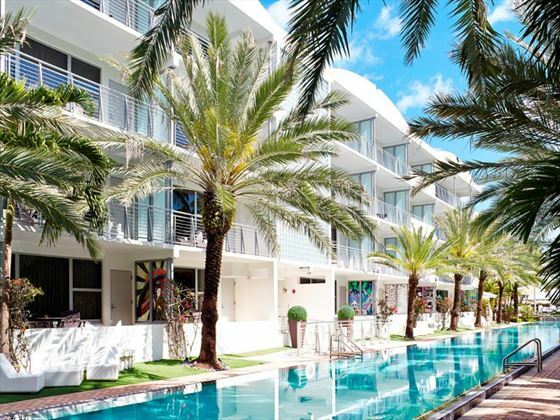 This stylish oceanfront hotel has been around since 1939 – and since then it’s been one of the iconic features of Miami’s famous Art Deco District. 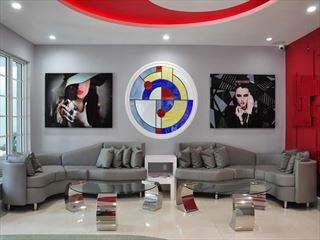 What makes the National Hotel special is the combination of glamorous retro-styling with high quality modern furnishings. You’re steps away from the gorgeous sands of South Beach and also all of Miami’s incredible restaurants, shops and nightclubs. Why not combine your stay at The National Hotel with one of our fabulous Florida Keys Experiences? Cabana Guestrooms – adjacent to the infinity pool with large terrace, with a king or queen bed. Prices correct as at 6pm on 23 Apr 2019. Please call for final price. Prices are per person based on 2 adults sharing a room. Other durations available - call for quote. Prices include flight and accommodation as stated below. For car hire and transfer options please ask your travel expert. 3 night minimum stay applies on certain dates. Peak Season surchage applies on the following dates: 29-31Aug14, 01-08Dec14, 30Dec14-4Jan15, 13-17Feb15, 20-23Feb15, 14-23Mar15, 23-26May15, 4-7Sep15, 1-8Dec15 and 30Dec15-04Jan16 Please ask your travel advisor for more details.